Dhaka, 3 Dec, Abnews: Particles split in the hot belly of a lightning bolt. Radioactive particles decay in the afterglow. Gamma rays rain down to Earth. 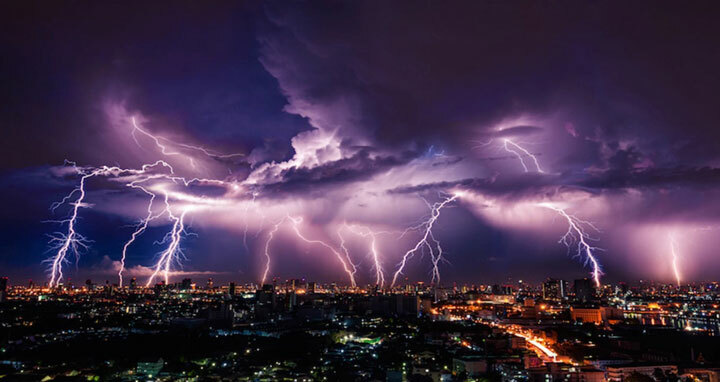 Teruaki Enoto, a physicist at Kyoto University in Japan, proved for the first time, in a paper published Nov. 23, that lightning bolts work as natural particle accelerators. Enoto and his co-authors' results confirm for the first time speculation dating back to 1925 about this phenomenon. Back then, scientists suggested that energized, radioactive particles might zip through the booms and flashes of a thunderstorm. Those particles emit energy at precise wavelengths, which Enoto and colleagues are the first to detect.